When will be Buffy the Animated Series next episode air date? Is Buffy the Animated Series renewed or cancelled? Where to countdown Buffy the Animated Series air dates? Is Buffy the Animated Series worth watching? 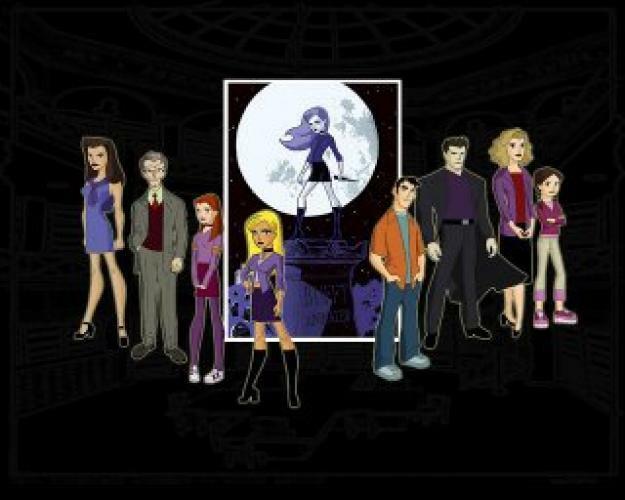 The original concept was an animated series that would provide an outlet for all the stories originally pitched for Buffy's high school years that never made it to original show. Despite numerous production dates and development money the series never went beyond a pilot presentation. EpisoDate.com is your TV show guide to Countdown Buffy the Animated Series Episode Air Dates and to stay in touch with Buffy the Animated Series next episode Air Date and your others favorite TV Shows. Add the shows you like to a "Watchlist" and let the site take it from there.